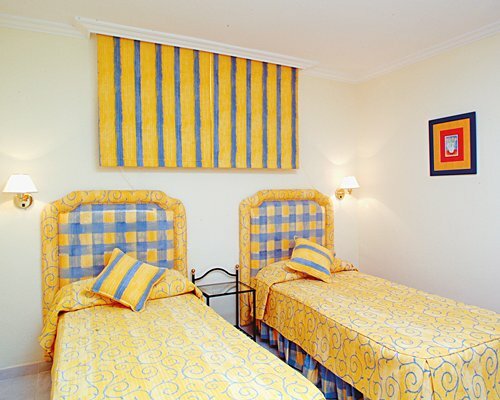 Timeshare at El Marques Palace offers relaxation at its very best. 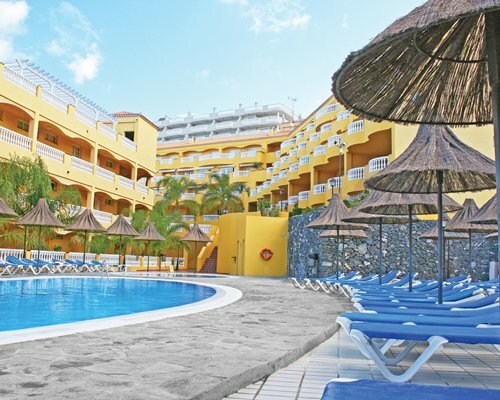 The timeshare resort is tastefully structured around the main heated pool and children’s pool for privacy, so take it easy with the many comfortable sun beds around both pools. You can find tenis courts on site and also sauna, there are elevators, and snack bar for your little tasters. Explore this famous island’s magnificent beaches, museums, restaurants, and entertainment. El Marques Palace is located near the enchanting cliffs of Los Gigantes. The beach, only a short walk away, offers water skiing, scuba diving, and boating. Golf courses, gym, casino, grocery store, medical facility, and restaurants are nearby. Book a car rental at the reception desk to explore this wonderful area. El Marques staff are extremely helpful and knowledgeable about the surounding area. The resort is the perfect couples retreat, and home base for your luxury Canary Island vacation.